You are not a one trick pony – so who could possibly expect your chocolate club to be? When you sign up for a chocolate of the month club or bestow it upon someone else, you want to make sure they are really getting the opportunity to explore everything there is to enjoy about chocolate. From truffles to filled varieties to even little nibbles of toffee and bars, you strive to get as much variety as possible for every penny you spend. Our list of the Best Clubs for Maximum Variety will provide you with just that – and possibly more. The Chocolate of the Month Club is all about exposing you to all things chocolate. Each month you will receive a full pound of premium chocolates and while they come from the same family-owned chocolate company, they are not lacking in variety. This club ensures that every shipment is something new, exciting and an opportunity to explore. Just some of the varieties you can expect include bars, toffees, melt away, chocolate dipped fruits, truffles, turtles, cream-filled chocolates, and other fine chocolate recipes. 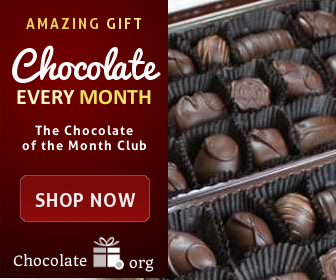 The Chocolate of the Month Club by Clubs of America can be ordered on a monthly basis or for as long as a 12-month contract. The price is $34.95 per shipment with free shipping and handling. If you opt to pay upfront for a 12-month contract you can receive $25 off the total instantly. Why not add some cheese or wine too? Clubs of America is one of the biggest, longest running monthly clubs in the U.S. You can create your own customized club that includes chocolate as well as wine and even cheese for maximum variety. Craving premium chocolates and a lot of them? Chocolate.org’s Superior Chocolate Collection is all you need. Each month you will receive one to two pounds of chocolate that include things like a truffle assortment, signature chocolate collection, traditional chocolate assortment, hand-dipped chocolate collection, mint varieties, epitome collection and more. Within their collections there are so many different varieties of chocolate, you can become quickly overwhelmed at the choices, but that isn’t necessarily a bad thing when it comes to chocolate. The Superior Chocolate Collection is a nine-month series of chocolates and every month you can expect a different themed assortment to arrive. The price is $45 per month with free shipping and handling. Purchasing this as a gift? If you are purchasing as a gift, you can get even more variety (and save some money) by purchasing the For the Guys membership or the Lady’s Choice membership instead. 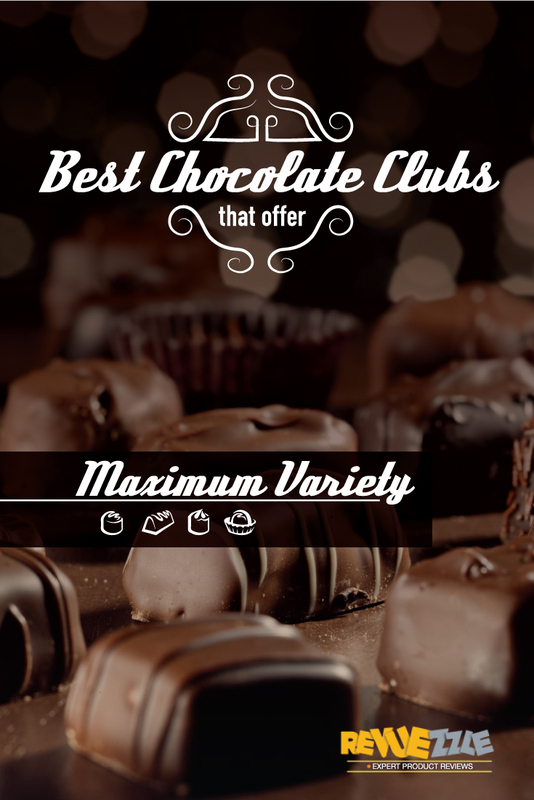 Visit Chocolate.org - 10% Off - Get This Club! Enjoy some exciting varieties and collections of chocolate from brand you know and already love: Harry & David. The Chocolate Club from Harry & David is perfect for gift giving or even treating yourself. Their collections include everything from ice cream parlor truffles to coffee shop truffles to chocolate-covered fruits, milk chocolate gift box assortments, and even sea salt caramels in various recipes. You can sign up for as little as three months, but to get the most variety from Harry & David, you should try the six or 12-month memberships instead. There is no free shipping, so all memberships will be subject to the $6.99 shipping charge. The three month Chocolate Club is a total of $120.96, six-month club at $231.93 and the 12-month club at $453.87. Want to save on your gift? If you sign up for the three month Chocolate Club from Harry & David via Revuezzle, you can get the three month club option for as little as $84.15 for three months (shipping not included). Save 15% with Coupon. You don’t just want variety – you also want something that is handcrafted and unique. The Gourmet Chocolate of the Month Club definitely has you covered there. This club focuses on high-quality artisan chocolates from small batch chocolatiers around the world – you can’t get much more variety than that. Shipments are rarely the same with this club – so even if you signed up for a year, it is unlikely you will see a repeat. This club is serious about chocolate and even more serious about exploring the world of chocolate. They include a newsletter with information about the varieties you taste, tasting notes and even pairings. The Gourmet Chocolate of the Month Club starts at $34.95 per month with $14 shipping for a total of $48.95 per month. Want a lot of variety, but not monthly? With the Gourmet Chocolate of the Month Club, you can choose between monthly, bi-monthly and quarterly shipments – so you get the assortments you want as often or as little as you crave them. Visit Monthly Clubs - Get This Club! Perhaps what you really crave is a large variety of truffles? Maybe you want seasonal flavors and unique finds that other chocolatiers only wish they had made? Dear Coco’s Chocolate Club delivers 12 pieces of unique, fun truffles each month that are the epitome of assortments. Just some of the funky and fun flavors you can expect include their British Collection (with Earl Grey tea truffles), seasonal favorites, spring collection, spicy truffles, zesty chocolates and more. Also, Dear Coco is one of the few chocolate clubs that incorporate gluten-free and even dairy-free chocolates into their selections. The Chocolate Club from Dear Coco will depend on where you live. A three-month East Coast membership costs $125 total, while the three-month West Coast membership costs $155 total. Want even more? Dear Coco also offers six and 12- month club options for those that feel three months is just too short to enjoy their chocolate. Visit Dear Coco - Get This Club!